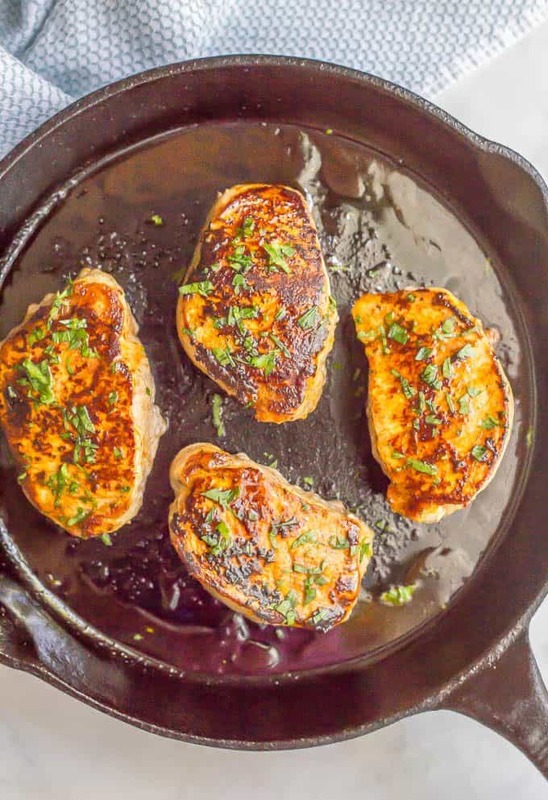 Ranch seasoned pork chops are seared in a skillet and finished in the oven for a quick and easy weeknight dinner that’s full of flavor. And they are just 3 ingredients! 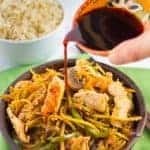 So today I’ve got a 3-ingredient, super quick and easy, great for last-minute dinner decisions type of recipe for you. 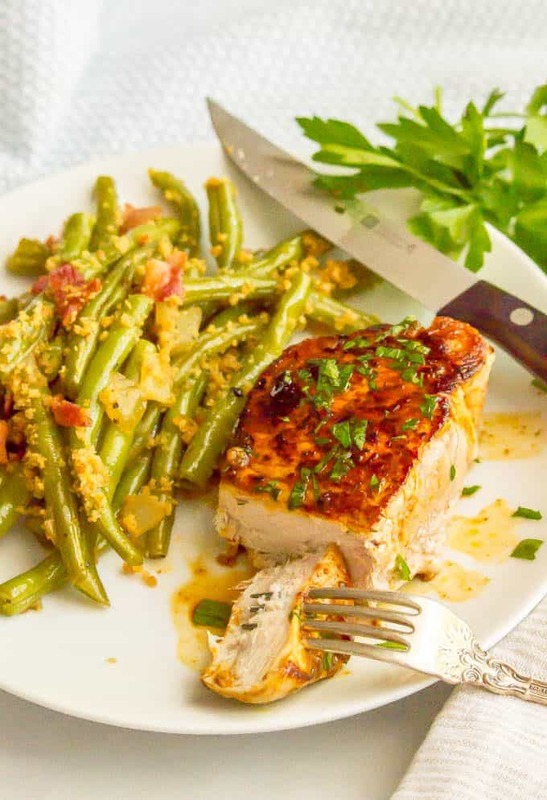 Ranch seasoned pork chops are perfect for a weeknight go-to the whole family will love! M got hooked on Ranch dressing sometime last year — that’s why the girl ADORES her salads. And so I’ve tried to incorporate those flavors into different dishes to try and encourage both kids to eat new foods. Us moms gotta stay two steps ahead right? Just so you know though, these pork chops don’t taste super Ranch flavored. The Ranch seasoning mix is mostly a quick and easy way to give them some great flavor. And it’s perfect for a last-minute dinner with on-hand pantry ingredients. 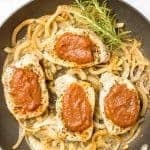 But, if your kids are Ranch crazy like mine and they want to amp up the Ranch flavor, they could certainly dip their cut-up pieces of pork chops into some Ranch dressing. Sometimes a little dipping sauce is all it takes to get my kids to chow down. And I’m totally OK with that! 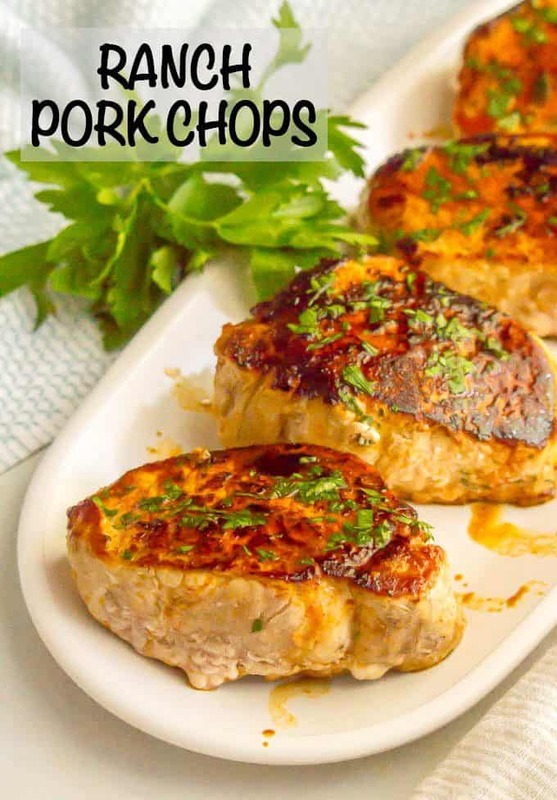 I use small boneless pork chops because they are quick and easy to cook. 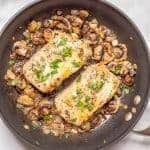 You could certainly substitute bone-in pork chops or even a pork tenderloin. You’ll just need to adjust the cooking time. Feel free to use either homemade Ranch seasoning or a packet of Ranch seasoning here. 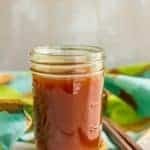 I use regular paprika but smoked paprika would definitely bring some great flavor too! 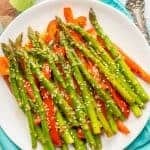 Wondering what to serve these with? 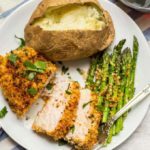 Ranch seasoned pork chops are a quick and easy weeknight dinner that’s full of flavor and just 3 ingredients! Combine the Ranch seasoning mix and paprika in a small bowl and stir well. Season both sides of pork chops generously with the seasoning mix. Heat olive oil in a large oven-safe skillet over medium-high heat. Add pork chops and sear until brown and crisp, about 3 minutes per side. 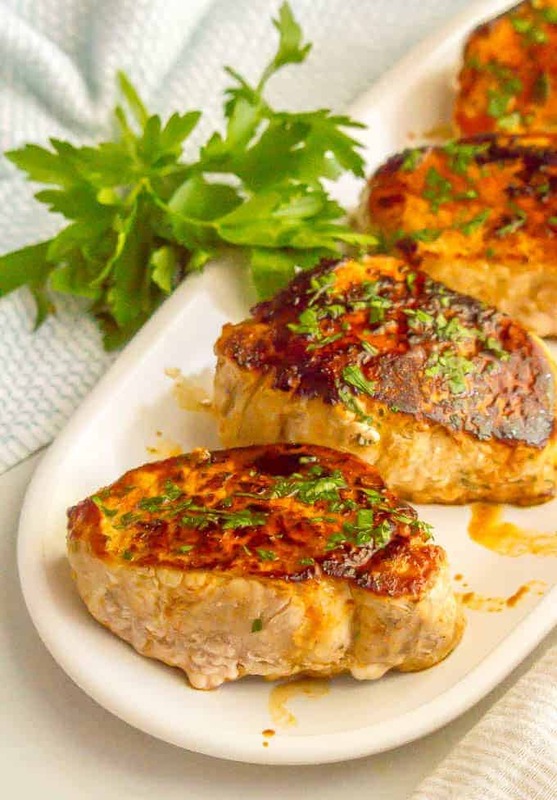 Remove and let pork chops rest for 5 minutes before serving. Feel free to use either homemade Ranch seasoning or part of a packet of Ranch seasoning here. I use regular paprika but smoked paprika would work too.